Another exciting opportunity for me to meet with this years visiting masters students from the University of Amsterdam and enjoy stimulating discussions concerning the rapid changes happening in Shenzhen including recent urban development and its influence on its urban layout, human development and environmental resilience. Looking forward, can we expect positive changes that are going to bring great benefit to people's lives? Thanks go to Justin ZHENG, founding director of urban design consultants D-Polis for inviting us to have a round table discussion in their offices atop Diwang Building, affording stunning views of the Shenzhen and Hong Kong interface. Visiting students from UoA are undertaking six weeks of research studies in Shenzhen led once again by Marco Bontje, Assistant Professor in Urban Geography at the Department of Geography, Planning and International Development Studies of the University of Amsterdam, and Phd Candidate Ms. YANG Chingwen. TEDx speaker - Chaihuo Maker Space. What is the effect of the DOFFICE housing for young professionals on the Shui Wei urban village. The effect that street food vendors have on the dynamics of a neighbourhood. To what extent does the implementation of micro-renewal strategies constitute a new model for the redevelopment of urban villages? To what extend is the hukou-registration system limiting higher-educated rural migrants, working in the high-tech industries of Shenzhen. Chinese working class, their economic position as well as their housing situation. The Master Human Geography at the University of Amsterdam has a focus on urban and political geographies. Economic Geography; Environmental Geography; Political Geography; and Urban Geography. 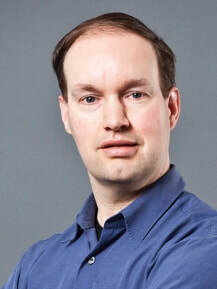 Marco Bontje is assistant professor in urban geography at the Department of Geography, Planning and International Development Studies of the University of Amsterdam. Within the research institute AISSR he is member of the research group Urban Geographies. While his main research interest lies in urban geographic issues, his research has crossed disciplinary boundaries towards urban and regional planning, economic geography and environmental geography. Research topics so far have included the effectiveness of Dutch national urbanisation policy (PhD thesis); sustainable development of city-edge and (post-)suburban business locations; spatial, social and economic conditions for internationally competitive creative knowledge cities; and the impact of demographic and economic decline on cities and regions.